Rangelands are vast landscapes that cover most of western North America and the earth. Students will examine the ecological principles that cause these grasslands, shrub lands, woodlands, and deserts to change or stay the same. Students will also explore how humans use and manage these ecosystems. The modern challenges of rangeland management must be met with broad thinking and new, sustainable practices to maintain and restore rangelands and the human communities that rely on them. This Teacher Resource Guide for was a cooperative endeavor of the Rangeland Ecology and Management program and the Rangeland Extension Education Department at the University of Idaho and the Idaho Rangeland Resource Commission. 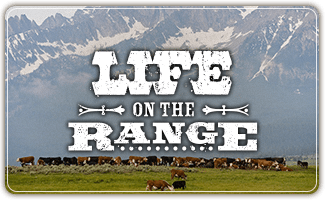 This resource guide was made possible by the David Little Livestock Range Management Endowment, the University of Idaho, and the Idaho Rangeland Resource Commission. Classroom use of these materials are free. Any reproduction or distribution must be approved by the Idaho Rangeland Resource Commission. Each section provides you with activities, PowerPoint lessons, note guides, quizzes, and readings. Need access to the keys for all the materials? Click Here to submit a request to receive the password.